Letting your toddler play with wooden puzzles is the perfect indoor activity for a rainy day. If you’re wondering… are puzzles good for toddlers? The answer is yes! 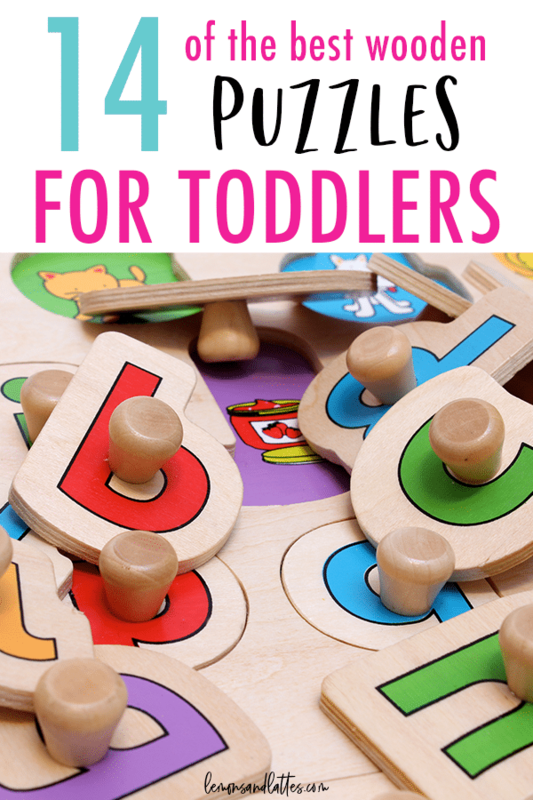 Your toddler may think it’s just a game, but puzzles can help with hand-eye coordination, fine motor skills, shape recognition, memory, and more. 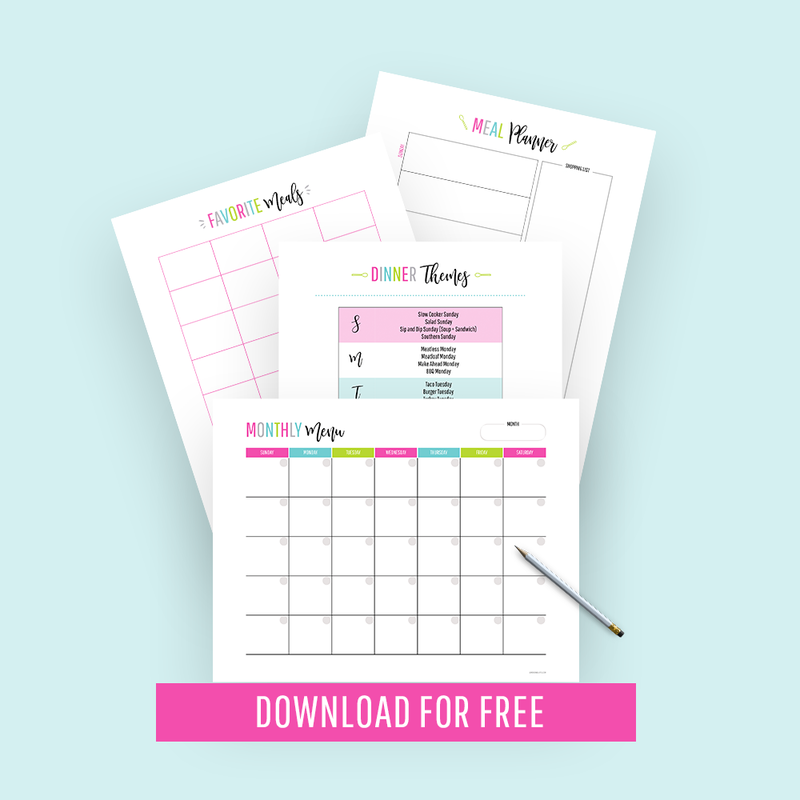 Puzzles will also teach them problem-solving skills in a fun way. What are the best wooden puzzles for toddlers? and preferably be made with non-toxic materials! The Gybber & Mumu Wooden Colorful Shape Puzzle is the perfect first wooden puzzle for toddlers as it’s suitable for 12 months and up and it’s free of lead, BPA, and phthalates! It includes 9 geometric shapes and will help your toddler start recognizing colors. The Top Bright Wooden Numbers Puzzle is another great first wooden puzzle for 2-year-olds. Each brightly colored puzzle piece (numbers 0-9) is painted with non-toxic water-based paint– making it one of the best wooden puzzles for toddlers! This set includes both the Top Bright Wooden Alphabet Puzzle and the Top Bright Wooden Numbers Puzzle. The alphabet puzzle includes all 26 letters of the alphabet and it’s also made with non-toxic paint. The Skyfield Wooden Jigsaw Puzzles bring even more fun to the table. With this set, your toddler will get 4 different vehicle patterns to help improve their problem-solving skills and more. And the best part is they’re all made with non-toxic water-based paint! Toddlers will love seeing the different types of animals! The Gleeporte Zoo Animal Puzzle is an 8-piece wood puzzle for toddlers 2-years-old and up. Each chunky puzzle piece is easy to grab, non-toxic, and made of sturdy wood that will withstand wear and tear. Does your toddler love firetrucks and helicopters? Then he’ll love the Melissa & Doug Vehicles Wooden Peg Puzzle! The jumbo knobs make each puzzle piece super easy for a 2-year-old to grasp. If your toddler loves to do the hot dog dance, he will love the Melissa & Doug Mickey Mouse Clubhouse Wooden Chunky Puzzle! Your 2-year-old will love matching his favorite Disney characters to their pictures underneath. If your toddler loves animals and prefers the chunky pieces over the pegs, the Melissa & Doug Safari Wooden Chunky Puzzle is a good choice. The vibrant colors are a plus! The Melissa & Doug Wooden Chunky Puzzle with farm animals will make the perfect addition to your toddler’s wooden puzzle collection. This one also includes 8 chunky wooden pieces for more screen-free fun for your 2-year-old. The Fat Brain Toys Wooden Personalized Name Puzzle is the perfect wooden puzzle for 3-year-olds! It’s a fun game to them and it will help them learn to recognize and spell their name. Looking for wooden peg puzzles that your 3-year-old will love? The Melissa & Doug Classic Wooden Peg Puzzles will help your toddler with her numbers, letters, and colors. The BeginAgain Number Snail Puzzle is an adorable puzzle that will help your 3-year-old start learning and recognizing her numbers in a fun way. Help your 3-year-old improve her hand-eye coordination and develop strong problem-solving skills with the Melissa & Doug Farm Wooden Cube Puzzle. That concludes the 14+ BEST wooden puzzles for toddlers!